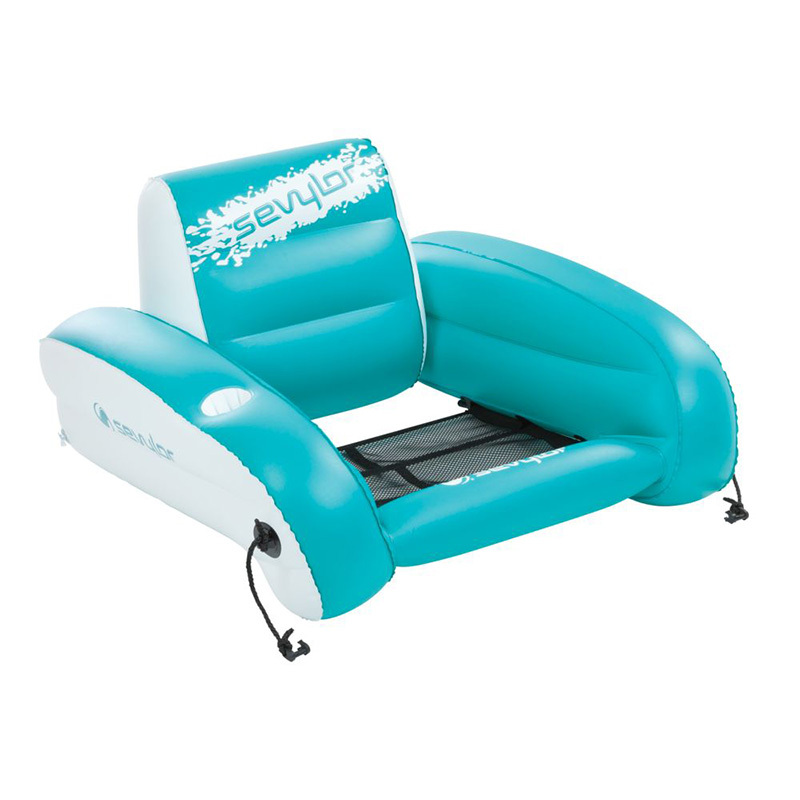 Relax and float in comfort and style with this 1 Person Sevylor Water lounge chair. Includes a wide seat for comfort and mesh bottom for easier movement. 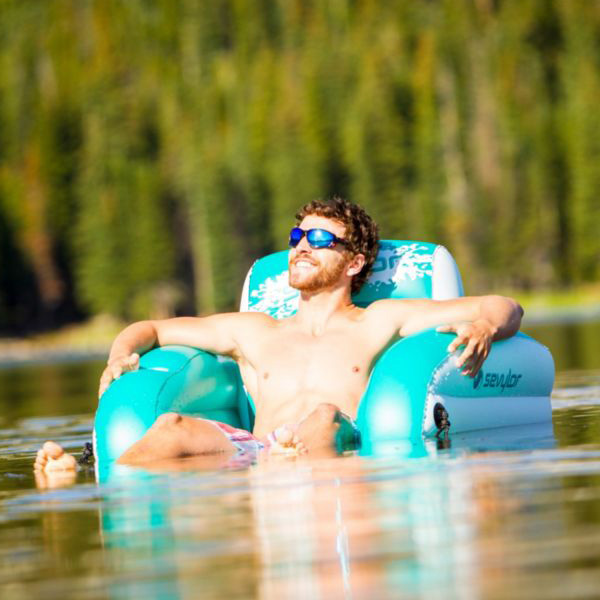 This Sevylor Water Lounge Chair is both durable and comfortable. The airtight system is guaranteed not to leak and the fast valve makes deflation and inflation quick and easy! With a wide seat made with a mesh bottom, sitting in any position is comfortable and movement is easy. 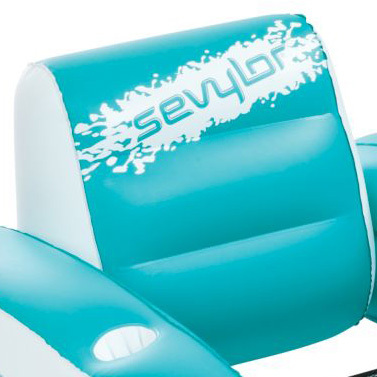 Includes a cup holder and the Snap ‘N’ Stay System so you can hook any Sevylor float to another. 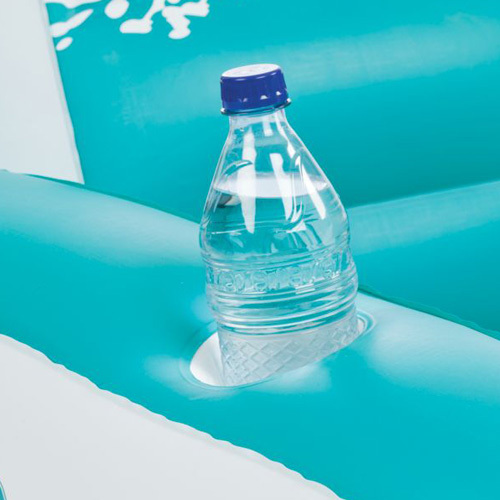 Great for use in lakes, streams or pools. Pump is not included. *Please note: Pump not included!